Every year, Top Nigerian Celebrities gather to play basketball and compete with a Top Nigeria Basketball league team in a friendly game mixed with music and lots of fun.? 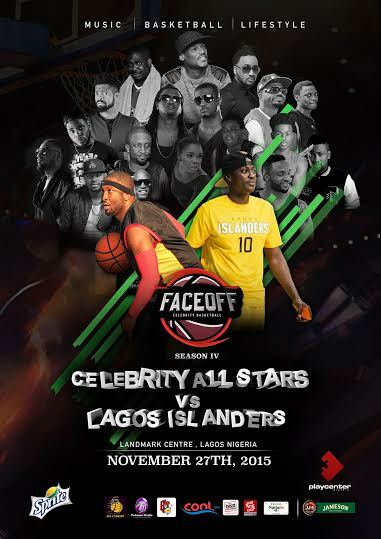 The basketball event which holds annually will feature this year, a host of A-List Nigerian celebritiesvs. the popular basketball Team ?Lagos Islanders? 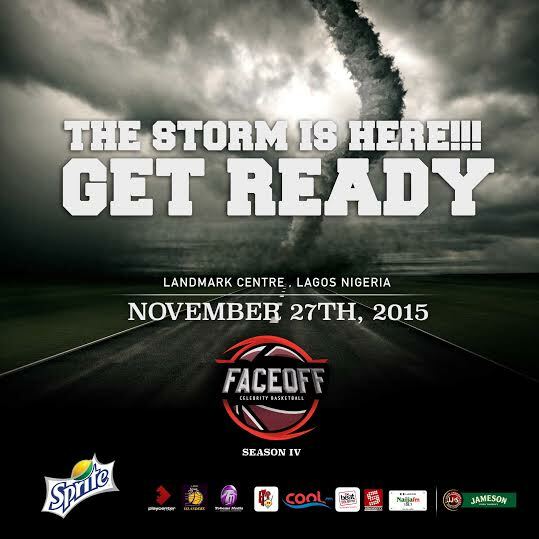 showcasing their love for music and Basketball on the 27th of November 2015 at Landmark Centre, Lagos. Celebrities that will be playing include, Sound Sultan, Tuface, Darey, Burna Boy, MI, Peter (PSquare), Kaffy, Iyanya, Jimmie, Praiz, N6, Vector and many more. The event will start by 5pm and the main Celebrity Vs Islanders game jump ball will start off by 7pm. This event will also feature other games like, Celebrities vs. Basketball veterans, three point shooting competition, free throw competition, and a Slam Dunk contest. Tickets are available for purchase at www.naijaticketshop.com and www.afritickets.comto win a ticket, follow @faceoffng on instagramor www.facebook.com/faceoffngand participate in the free ticket competition. Faceoff is a product of Playcenter in partnership with Lagos Islanders and produced by Tobems Media Ltd.